I just finished watching Episode 6 of Swords of Jordoba. Swords of Jordoba is an Actual Play series on YouTube. The game system being used is Swords & Wizardry which is essentially the D&D rules from 1974-1977. The GM of the series is, Matt Finch, the author of Swords & Wizardry and Co-Author of OSRIC. If you want to watch a current and unique (will get to this below) actual play of Old-School D&D this is the one you want to watch! This does a great job at showing how to run/play Old-School D&D. 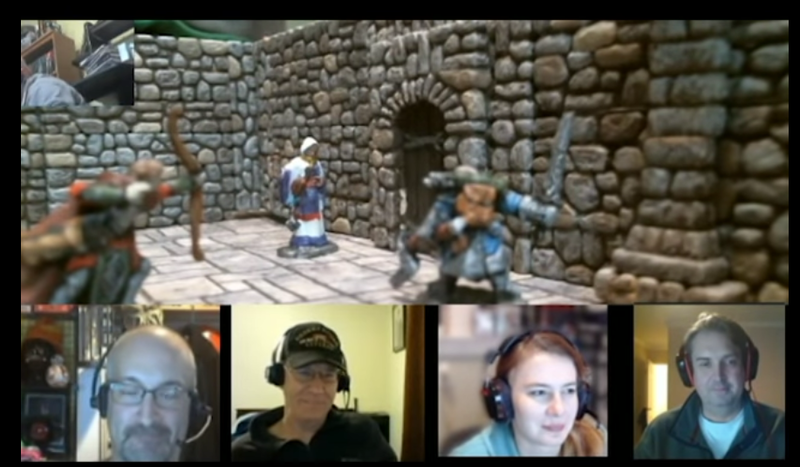 With the rise of D&D, thanks to 5th Edition and Twitch, people are getting more and more interested in the roots of D&D and seeing how the game was at it's development. 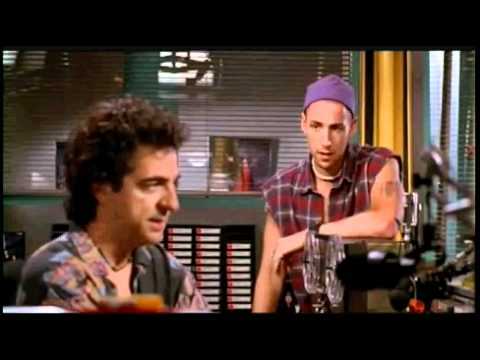 Now, this isn't a Critical Role. It isn't filmed and streamed live from a studio with a crew. The players and the GM are playing online from their homes using either Skype or Google Hangouts. But what makes this series so unique, other than the play-style one must have for Old-School D&D, is how they use miniatures and terrain. Yes, I know, those other series use miniatures and terrain BUT not like this! Since everyone is playing from their own home and not together in a studio, the GM, Matt, puts the players AND viewers right into the middle of this game. He uses a small camera that goes through the inside of the terrain that would be eye-level to the characters. The players and viewers get this amazing first-person POV experience in this series. 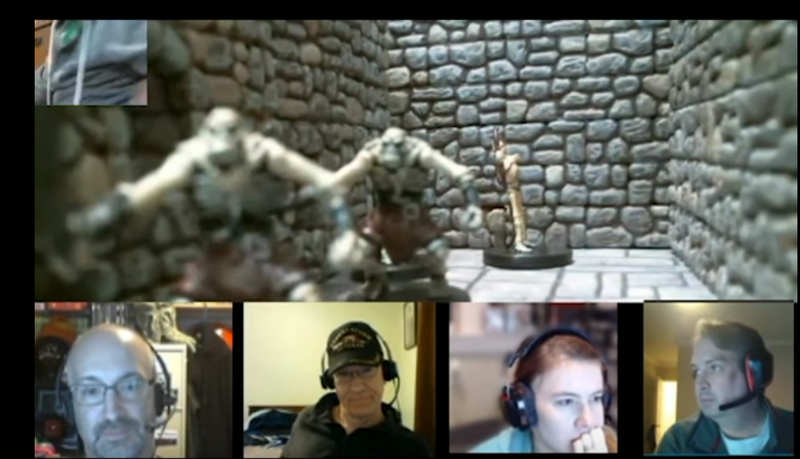 Unlike most other series, either in a studio or Roll20, there is always a top-down view of the table (virtual table) which allows the players and viewers to see the "GM POV" rather than the character POV. 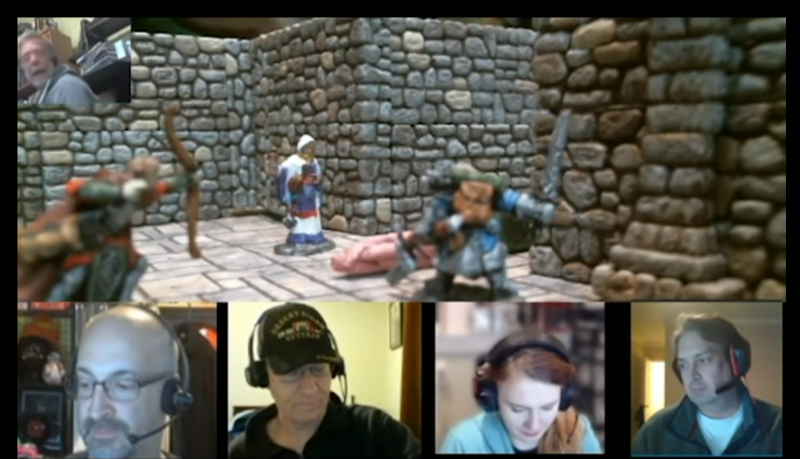 So when the Dwarf opens the door all you can see is what the character would be able to see instead of removing the fog of war or just adding on the entire room so all the players and viewers get that GM POV. Definitely checkout this series! There are currently 7 episodes right now and it shouldn't take that long to catch up. The first episode is short and the others are between an hour to two hours in length. Go here for the YouTube Playlist of the series. If you enjoy it don't forget to subscribe and share with others! Also, they have a Patreon that you can help support the series for it to continue to go on and to increase the production value of the series! Last night at the movie theater we saw a picture, advertising an upcoming Cameron Diaz film, featuring real swords with an engagement ring devoted. Hey there, is there an updated YT Playlist link? The one here doesn't lead to anything.